Buffalo Wild Wings should be down more on the Darden news. The larger casual dining names, particularly those in the Bar & Grill category, are trading lower on this Darden news. We feel that BWLD should be trading down more sharply than it is given that the read-through on DRI is perhaps most relevant for BWLD, of all the casual dining names, going forward. The lesson to be taken away from the Olive Garden’s lackluster results in 2QFY12 is that promotion is not a sustainable strategy to drive top line trends. 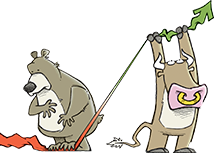 A favorable commodity environment can help mask the lack of sustainability in promotion as a strategy but, if and when commodity costs do not cooperate, the music stops abruptly. Without dwelling on Olive Garden too much (see our note from this morning), it is clear that the company recently became reliant on promotions to sustain traffic at a concept where menu price increases had previously been taken consistently over a number of years. Buffalo Wild Wings' story is very similar. The strategy can be effective in the short term, as it was for Buffalo Wild Wings in the third quarter, but when the wind turns from a commodity perspective it can handcuff the company and lead to EPS downside surprises. The charts below illustrate our view. 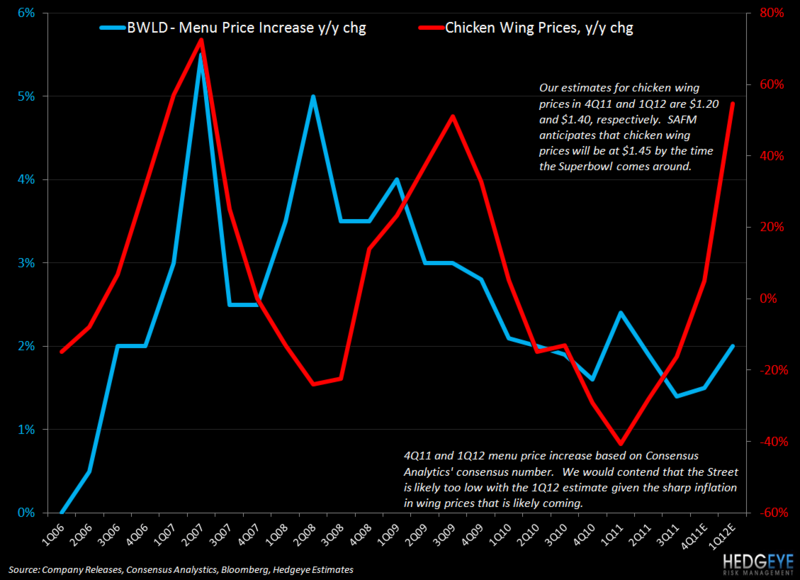 The first chart illustrates our point that if traditional wing prices head to $1.20 and $1.40 for 4Q and 1Q, respectively (they are at $1.37 today), it is likely that menu price increases will need to be taken to protect margin. That eliminates the possibility of another “unlimited wings” promotion in 1Q12 or, if management goes ahead with it, will eliminate the flow through to EPS that was seen from the same strategy in the third quarter. The second chart shows wing prices versus margins. 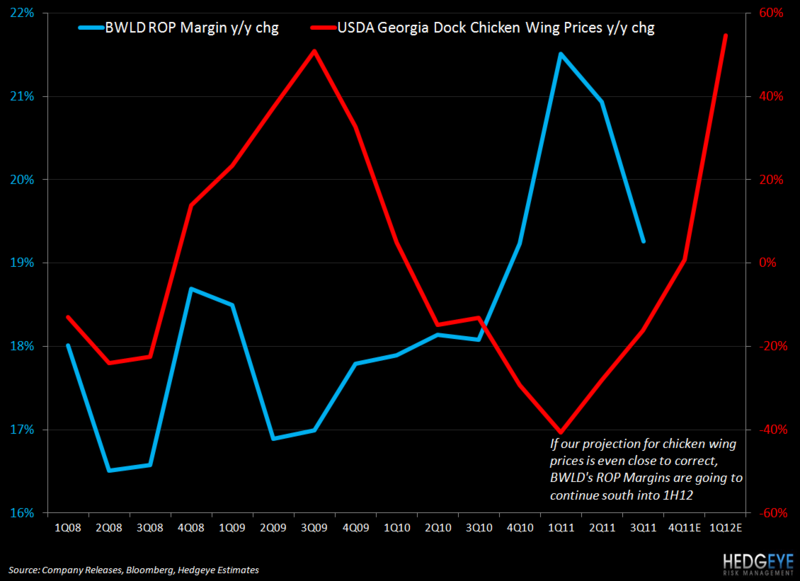 It is fairly self explanatory; if our estimates for traditional wing prices are at all reasonable – so far so good – then margins are likely to decline further from 3Q levels. Even with traditional wing prices down 16% in the third quarter, the unlimited wing promotion brought margins down sequentially from 2Q. As the tailwind turns into a headwind, that strategy is rendered ineffective.